Bailey, GCh Solstice Flying Circus (GCh/UKC CH Mariel’s Flying Spirit, RN x Ch Arylan Flying Start) was my pick puppy from Lindy‘s first litter. Bailey started her show in an exciting way by going BOB from the classes and then being pulled in the group under judge Gloria Kerr. 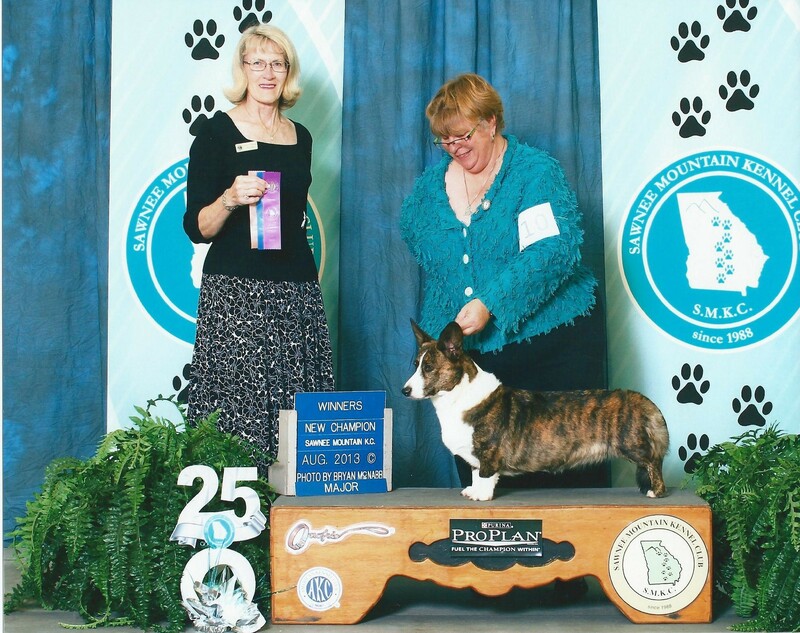 The next weekend she was BOS in Sweeps at the CWCCA supported entry at the VVKC. Bailey has done us proud, she was awarded 2nd in the large BBE class at the CWCCA Nationals under judge Jim Reynolds. Bailey seriously hunting her rat at the Barn Hunt Trial. 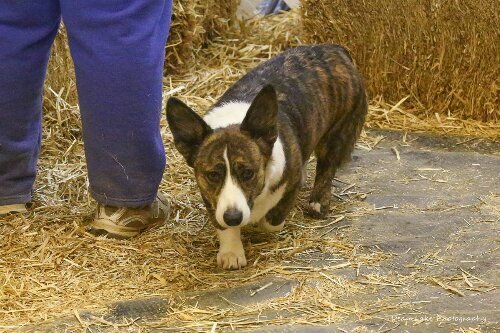 Bailey is my Barnhunter, she really gets into the sport and is the first Cardigan to earn a Senior Barnhunting title. We will now be working on the Master title? 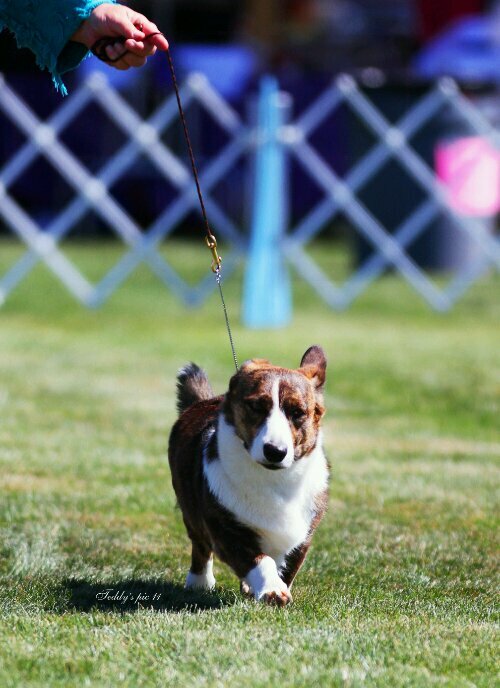 Bailey is an enthusiastic courser and quickly ran to her CA title quickly ran to her CAX Execellent title. She loves all the CAT games and earned her first Fast Cat title and is working on the next. Bailey’s newest sport in Scentwork, she easily passed her NACSW Birch ORT and she started AKC Scentwork in December 2017 and earned her Scentwork Novice Container, Interior and Exterior titles with 100% pass rate. She is working on her Novice Elite and moving into Advance competition. 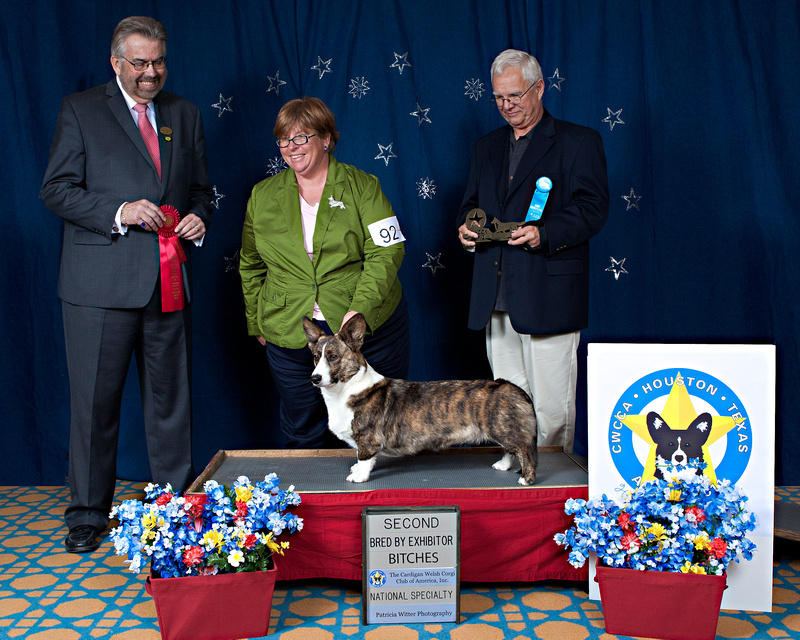 Bailey has also completed her International Canine Kennel Club (ICKC) International and Intercontinental Championship. Hi Danielle, I won’t have blues anytime soon, my next litters will be black/white, Tri or brindle. My partner Harry will be having blues later this year in Albuquerque. Well awesome 🙂 i also like the brindles. and the tri colored ones but the blues are my favorite. i have a pembroke Welsh corgi also but i would love to have a cardigan.